We expect the MPC to cut rates by 0.25% to 5.75% on June 7, Bank of America Merrill Lynch said in a note. Soft commodity prices limit supply side inflation, while global rate pressures are fading with the US Fed turning dovish, BofA-ML said. 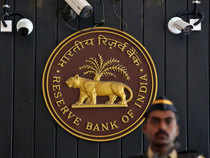 Mumbai: A foreign brokerage Monday said the Reserve Bank will cut its key policy rates by another 25 basis points, after governor Shaktikanta Das' weekend speech focusing on ways to revive growth.